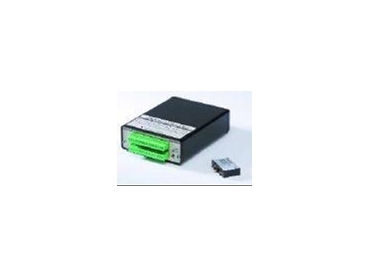 Compact SLX718 Data Acquisition/Logger, available from Scientific Devices Aust , is combined with Dataforth's miniature SensorLex. 8B isolated analogue signal conditioners create a flexible, high performance data logger/data acquisition system. WINDAQ recording software: WINDAQ's Waveform Browser playback software supplied with the SLX718 Data Acquisition/Logger allows users to graphically manipulate waveforms in a variety of ways. Compress an entire recording to one screen-width for a bird's eye view, then expand around an area of interest for a closer look. Use the cursor to measure amplitudes and timing with precision or move to any event marker with the click of a mouse button. The WINDAQ Waveform Browser supplied with the SLX718 Data Acquisition/Logger can export any range of data to the spreadsheet or to any other analysis or presentation package. Users can copy a graphical image displayed by the WINDAQ Waveform Browser and paste it directly into a word processing document. Users can also export any range of waveform graphics to the printer for a hard copy record. Users need to double-click and enter the channels needed to add to the WINDAQ scan list. Users need to click to select gain, signal averaging, true RMS, frequency and peak or valley detection per channel. Click to define a single to 8-channel display - either triggered sweep (oscilloscope-like) or scrolling (chart recorder-like). Click again to define a sample rate ranging from less than one up to 14,400 per second. With WINDAQ/HS users can also define different sample rates on a per channel basis.